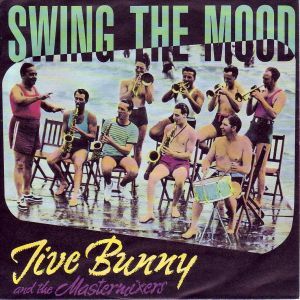 Well, you either love them or hate them, but Jive Bunny and the Mastermixers spent five weeks at the top of the UK singles chart with Swing The Mood during July and August 1989. In fact, the song went on to become the second best-selling single of '89, beaten only by Ride On Time by Black Box. The song features a medley of rock and roll hits by artists such as Glenn Miller, Bill Haley and his Comets, Little Richard, Chubby Checker, Eddie Cochran, Elvis and The Everly Brothers. 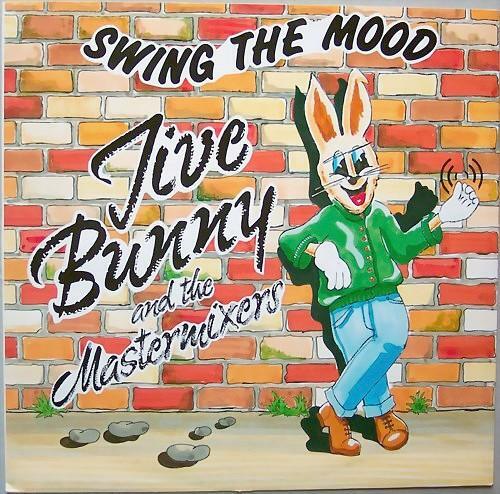 Jive Bunny are from Rotherham in Yorkshire (UK), and reached No.1 with their first three releases. The other two were "That's What I Like" and "Let's Party". "Swing The Mood" was also a big success globally, and sole 500,000 copies in the U.S. 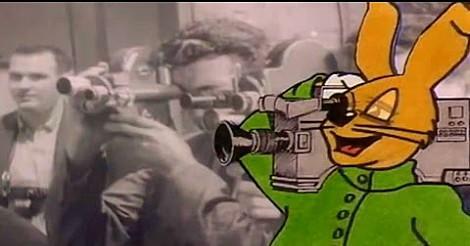 The single topped the charts in Australia, Austria, Belgium, Finland, France, Germany, Ireland, New Zealand, Norway and Spain. The B-side featured "The Glenn Miller Medley (The J.B. Edit)". Jive Bunny was slated by the critics, of course, but the British record-buying public seemed to have a soft spot for the furry DJ. This stuff is guaranteed to get a party going, at least, or maybe it will get everyone going quite literally - straight out of the nearest exit!